Daughter of Henry Oran Randal and Julia Ann Sewell, Lake Randall was born on April 11, 1896, in Franklin County, Georgia. Charley Henry Pierce (Oct. 8, 1922 – Sept. 5, 1998).3) On May 11, 1946 he married Evelyn Vanon(n) Brock (June 19, 1916 - April 22, 2004).4) They had one son named James Henry Pierce (born May 27, 1947). 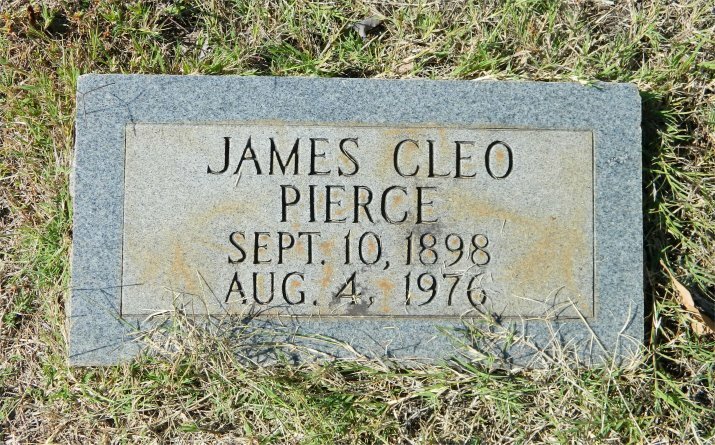 Gravestone for James Buford Cleo Pierce (Sept. 10, 1898 – Aug. 4, 1976). 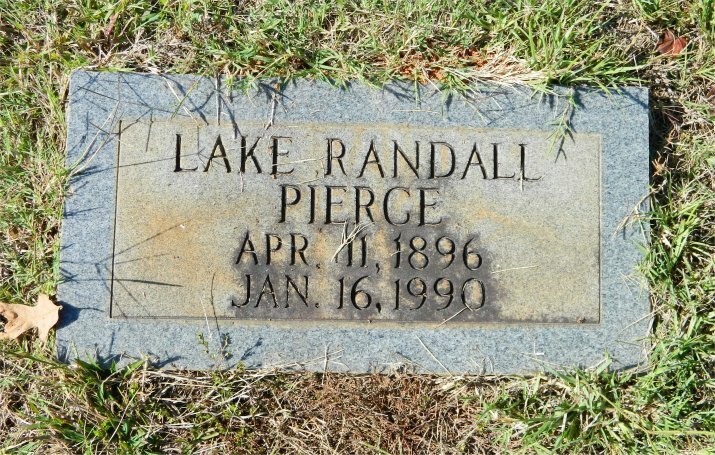 Gravestone for Lake Randall Pierce (April 11, 1896 – January 16, 1990). 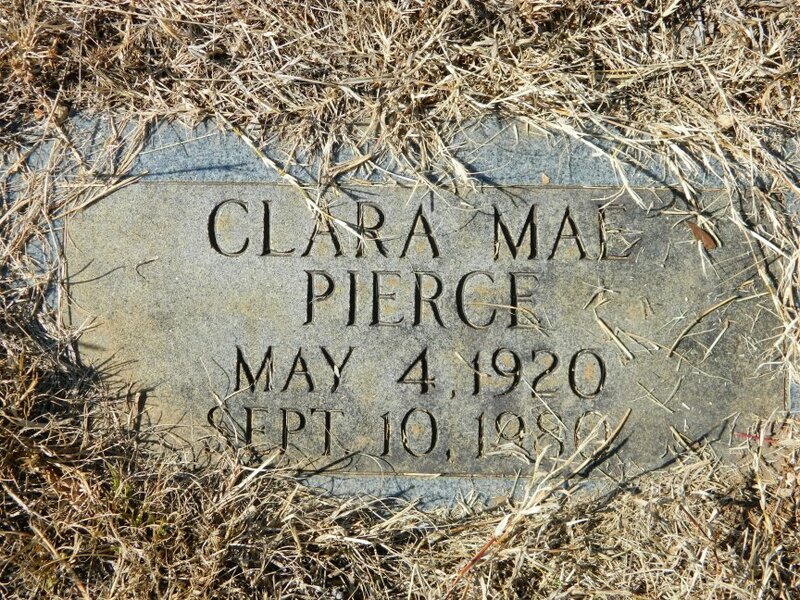 Gravestone for Clara Mae Pierce (May 4, 1920 – Sept. 10, 1980). 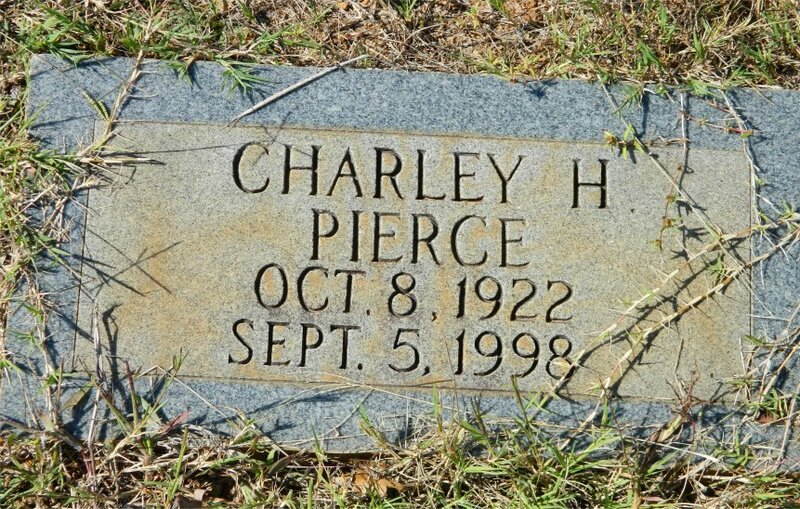 Gravestone for Charley Henry Pierce (Oct. 8, 1922 – Sept. 5, 1998).